A whole painter's palette of colors in every bloom. 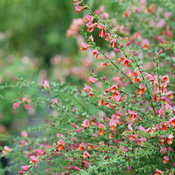 Sister Rosie® Scotch broom brings more to your garden: more color, more flowers, more texture! 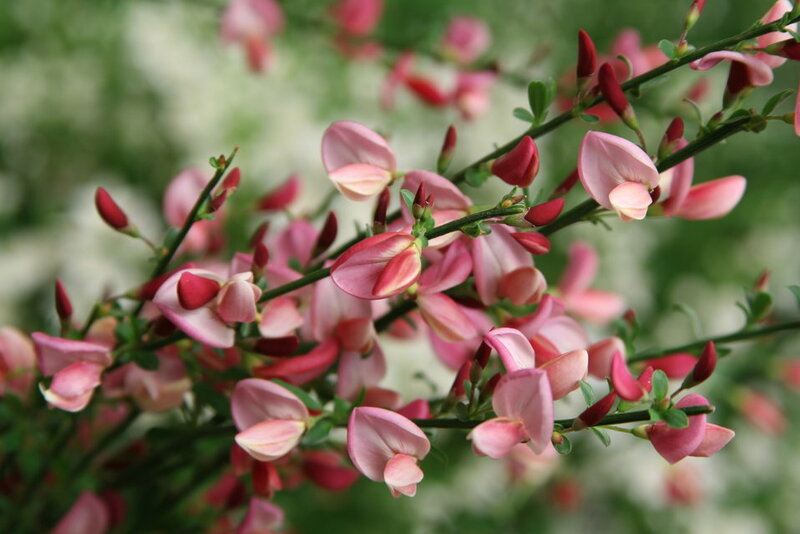 In spring, the plant springs back to life with hundreds of pea-shaped flowers in dusky pink with red and yellow lips. Nothing else looks quite like it, and it is especially when paired with colorful spring blooming bulbs like daffodils, tulips, and crocus. 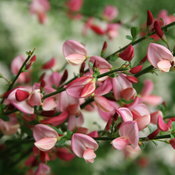 Scotch broom loves sunny, dry conditions, which these bulbs also like, so pairing them together works visually as well as horticulturally! 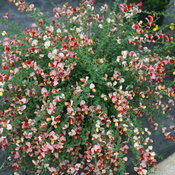 After blooming, wiry green stems are covered in tiny leaves, which provide a unique textural effect. We do not recommend this plant for the Northwest. - Multiple true, rich colors in every bloom. 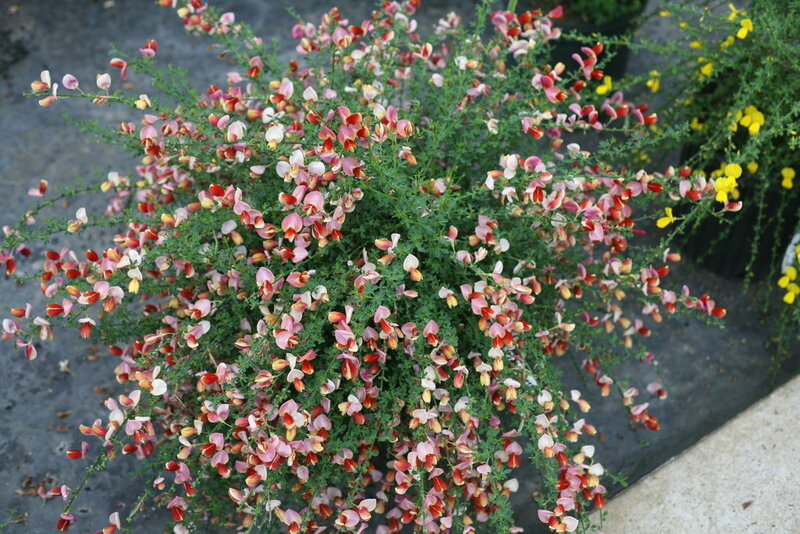 This upright Scotch broom has a distinctive broom-like silhouette that makes it a striking textural accent in garden beds and landscaping planting. Needs full sun and well-drained soil. Needs very well-drained soils, especially during periods of cold temperatures. 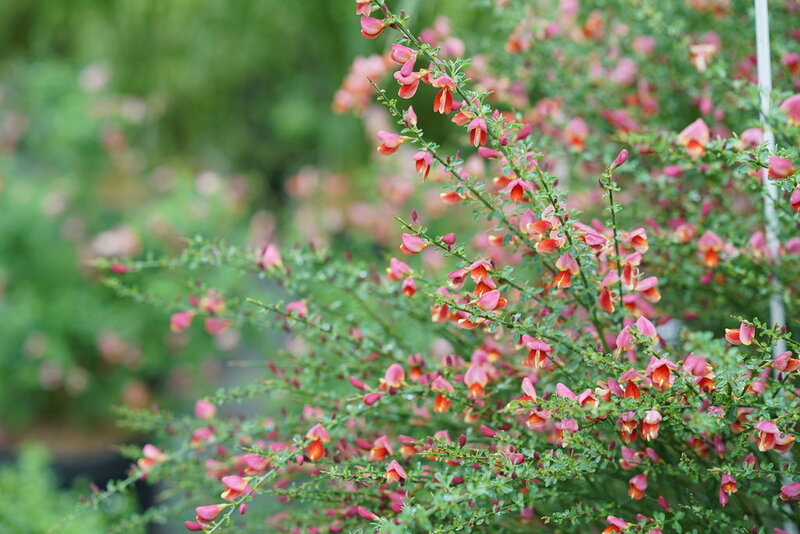 Mostly maintenance-free, but if it does look a bit scruffy, you can give it a light trim after it blooms in spring.